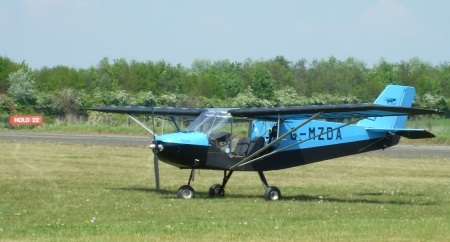 After many years of looking longingly at every plane that flew by, I took the plunge in 2006 and started flying lessons at Baxby Airsports Club. For several reasons it took almost two years before I got my licence, by which time I had bought a share in “Delta-Alfa”. Learning to fly has it’s highs & lows, and I’ve posted a description of the first lesson at The Day I Flew In Mountain Wave which was definitely a “high” in more ways than one. I’ll post some more memories as I get time. On these pages I’ve tried to put a record of some of the flying books that I find inspiring & valuable. Latterly, under the pseudonym of “The Armchair Pilot” I’ve started writing longer reviews for the North Yorkshire Flying Club monthly newsletter, you’ll find some of them reproduced on this site. If you have any comments, or questions, then please feel free to use the feedback options below to get in touch.